After earning his BSME (1966) and MS (1968) at NCSU and his PhD (1971) from the University of Southampton, Dr. J. Ronald Bailey’s career covered almost fifty years of professional practice. At various times he held academic appointments as Professor, Department Head, Dean, Vice President, and Chief Research Officer at NCSU, University of Texas at Arlington (UTA), Florida Institute of Technology (FIT), and the University of Tennessee at Chattanooga (UTC). He also worked many years for IBM where he specialized in robotics, computer integrated manufacturing, and statistical process control. Dr. Bailey was recognized in 1998 as Entrepreneur of the Year in Education by the Fort Worth Chamber of Commerce for opening a new campus in Fort Worth. 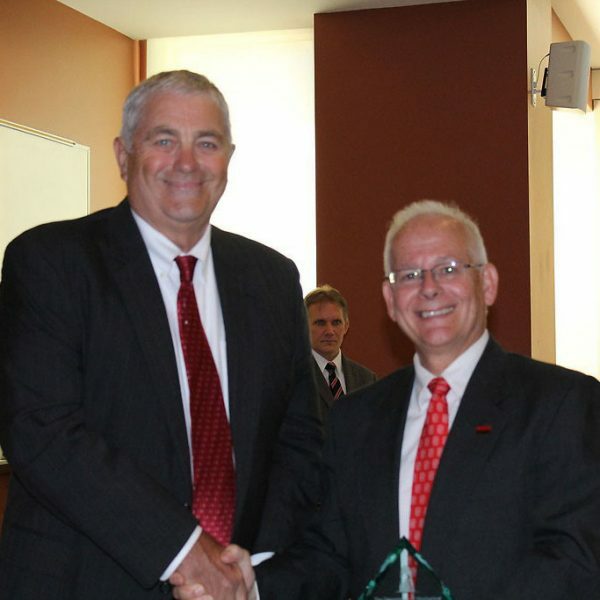 While in Tennessee, Dr. Bailey was named Engineer of the Year (2006) by the Chattanooga Engineers’ Club. Dr. Bailey demonstrated the first use of wireless charging for electric buses in the nation and built one of the first hydrogen fueling stations in Tennessee. He transformed an existing laboratory into one of the first Energy Plus Buildings in the Tennessee Valley and founded the Center for Energy, Transportation and the Environment at UTC which was recognized by the Tennessee Department of the Environment in 2015 for Excellence in Sustainable Transportation. Dr. Bailey is the author of dozens of papers on acoustics, robotics, computer integrated manufacturing, electric vehicles and sustainable use of energy. He served as the Editor of the World Electric Vehicle Journal (2006) and is now a member of a SAE task force charged with writing an international standard for wireless charging of electric vehicles. He has been a member of the NSPE, NSEE, ASA, AIAA, SAE, and ASHRAE. He is a life member of ASME and the North Carolina Acoustical Society.